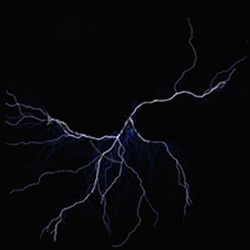 Lightning Systems of Virginia, L.L.C. You are guaranteed to receive the most effective lightning protection available. A lightning protection system is a passive means of preventing property damage from the effects of a lightning strike. If your home or business meets 5 or more of the following criteria, you are in a high risk group. If you are outside and you notice a storm brewing, do you know what to do? All lightning protection materials and components shall comply in weight, size and composition with UL96A and NFPA-780 lightning protection material code requirements for this type of structure. Lightning is the leading cause of fires in suburban and rural areas. Lightning causes an average of $500 million in damage, almost 100 deaths, and 300 injuries per year in the United States. Lightning has killed people while boating, swimming, golfing, exercising, talking on the phone, and even enjoying a concert. Lightning can carry up to 100,000,000 volts of electricity; Enough energy to illuminate a 100 watt bulb for more than 3 months. A single lightning bolt can reach up to 50,000 degrees Fahrenheit (almost five times hotter than the surface of the sun). The average thunderstorm is 6-10 miles wide and travels at around 25 miles per hour. Lightning can strike as far as 10 miles from the leading edge of the storm. You can be in immediate danger even in clear skies. Lightning can and does strike more than once, the Empire State building gets struck, on average, 20-25 times per year. © 2007 Lightning Systems of Virginia, LLC. All rights reserved worldwide. E-mail webmaster.